GDPR Opt-In Notice: I may not be a European citizen, but tech company Glisser is asking me—very nicely—if I mind opting into being in their database. I was wondering how companies would go about asking people to opt into allowing their data to be collected and stored, as required under the General Data Protection Regulation, a tough new rule designed to protect the private data of European citizens and residents that will start to be enforced in just over a month. And now I know: This morning, even though I’m not a European citizen, I got my first opt-in notice. It was short, to the point, and I think hit the tone exactly right. 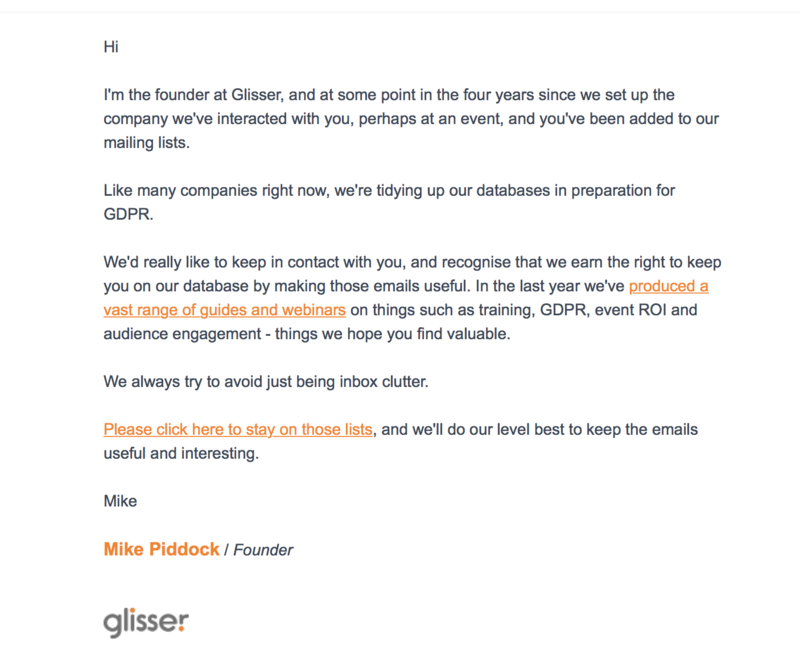 Sent from Mike Piddock, founder of the live event audience engagement and analytics platform Glisser, it acknowledged that I was in the company’s database, that it was cleaning up said database in preparation for GDPR, and reminded me of the value I would get from opting in to letting them hang onto my personal data. And I do find value in their mailings, including some really good resources the company put together on—what else?—GDPR. So I clicked. 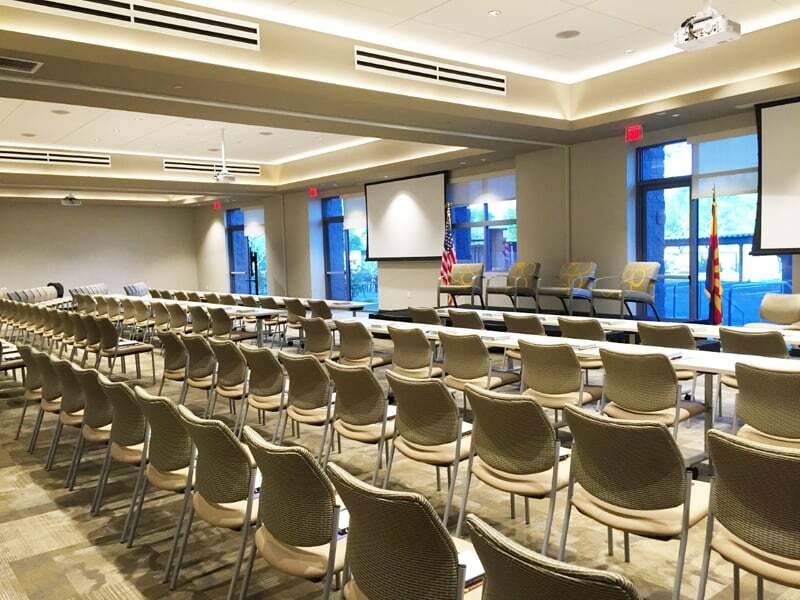 Check out the MeetingsNet Guide to GDPR! If you’re wondering how to go about asking those on your lists for their permission to keep them in your database, I’d suggest modeling your approach on Glisser’s. I also like that the company is extending the courtesy to those of us who hold non-European citizenship, even though it isn’t legally required to. We all appreciate having our data privacy respected and protected, wherever we call home.